This week we will be discussing cleansing and why it is the most vital step of your skincare regiment. 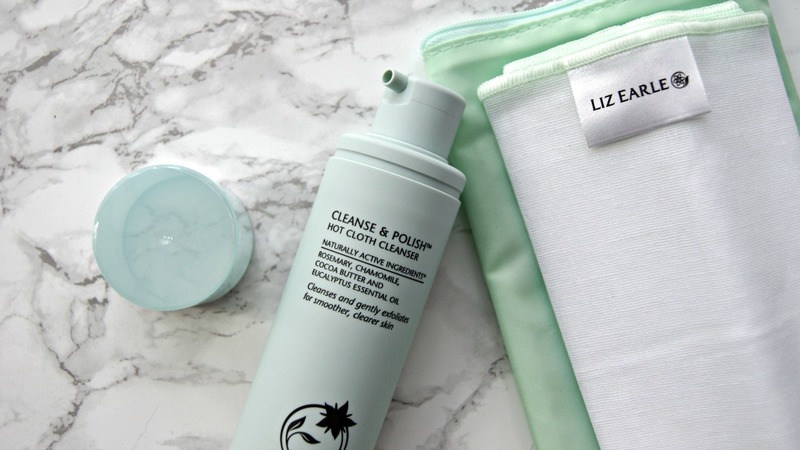 Of course, each post follows with a product review, and what better product to introduce you to than one of the top award-winning cleansers— Liz Earle Cleanse & Polish Hot Cloth Cleanser. Cleansing is more than a splash of water in the morning and soapy water at night. Cleansing is the first step in any skin care routine and it’s simply removing the dirt, sebum, makeup and pollution off your skin. If you wear makeup daily, then you should be removing all of it before you jump into bed. Failure to do so will dehydrate your skin, create congested pores, blackheads, pimples and acne breakouts. My skin rarely reacts or breaks out when I collapse on my sofa 3am with a full face of makeup still on. We’ve all been there but just because you don’t react doesn’t mean you are safe. Not cleansing accelerates your aging process. The dirt left on your skin contains free radicals which kills your skin cell turnover, breaks down collagen and elastin (that thing that gives the bounce in your skin) and creates wrinkles. So the next time you sleep with your makeup on, remember the free radicals are having a party on your skin and they have plenty of time (7+ hours) to cause damage before you actually cleanse your face. You should be cleansing first thing in the morning and last thing before bed. Just as you brush your teeth twice a day, you should be washing your face twice too. Morning cleansing doesn’t have to be as vigorous (for those who do the double cleanse maybe stick to one for the mornings) but definitely don’t miss this step. At night you sweat and not just a little but A LOT, so it’s important to wash your face properly if you want to perfect your makeup base. This is a two step cleanser. First you cleanse and then you polish with the muslin cloth. You pump out as much product as you need (I usually found one pump to be enough and maybe two pumps for a full face of makeup) and then massage this onto dry skin. Don’t be afraid to approach the eye area and don’t forget your neck as well. Rinse your muslin cloth under hand-hot water, squeeze it out and then start wiping all the product off your face. The cloth also works as an exfoliator so make sure you rub a little harder around the nose area if you get dryness there. Then splash your face with cool water which helps to close your pores. contains rosemary, chamomile, cocoa butter and eucalyptus essential oils. Does not contain mineral oil (whoop!). Chamomile is great for calming the skin especially in cases of eczema. Rosemary helps protect skin cells from damage caused by free radicals (you know that thing I said earlier). Eucalyptus essential oils, when mixed with other products, helps the product absorb into the skin and supports the moisturising process. This product is free from mineral oil. Mineral oil also called liquid petroleum (vaseline) is a very bad ingredient which is often lurking in your skincare. It’s like silicon for the hair, a quick fix product that makes you think you are seeing results when you’re actually not. Please avoid products that contain this ingredient, even in it’s smallest form. It contains no nutrient, has no hydrating properties, it’s a cheap ingredient that can be contaminated, can cause cancer - you just don't know so stay away. Rant over. Personal opinion: I was first introduced to this product around 18 when it cost less than £10!! Thankfully I had older sisters who followed strict skincare routines, so naturally i followed when I got my first pay-cheque. My older sister is 36 and she has been using this product for 12 years straight. She refuses to use any other product, even when i try to introduce her to something new. It has won various best beauty awards and it’s a nation loved product. And I can understand why. It firstly is reasonably priced, sitting around the £15 mark and it comes with two muslin cloths. One bottle is expected to last you around six months, less if you wear more makeup. It has a pump applicator which is hygienic and dispenses the right amount of product. Instantly from using it you can see the results that your skin is a lot more cleaner and healthier. It’s a universal product that I would recommend to teenagers and women in their 30s, and don’t forget men! My brother went out and purchased his own bottle after seeing me use mine daily. 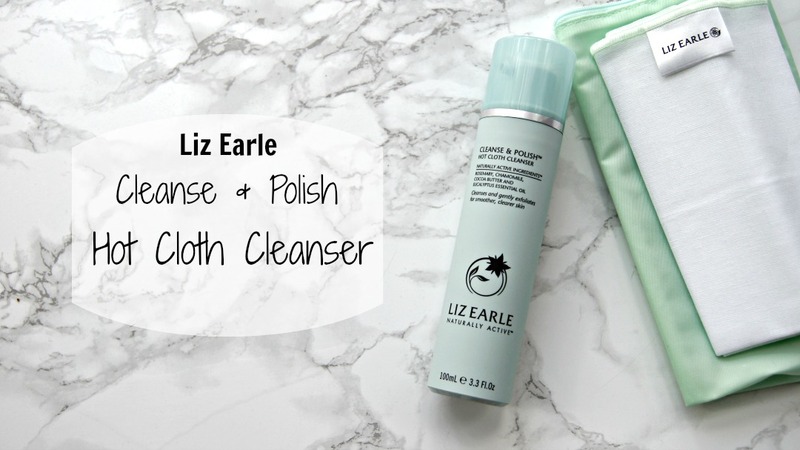 If you are new to cleansing, and you are not sure on what product to start with - this would be the product I would recommend to any of my virgin cleanser friends. I personally don’t use this cleanser now, and that is because I used it for around 4-6 years straight, got bored and wanted to test out other product. But, if i was put on a budget for the next year, I would definitely narrow it down to this product. Have you tried this product? What are your thoughts on it? Ah yes I remember you saying! I think it probably tingles a bit from the Eucalyptus as it's quite a strong essential oil, but it does leave my skin feeling cleansed and fresh too!